Christmas comes with more opportunities to give people the gift of the gospel than any other time of the year. 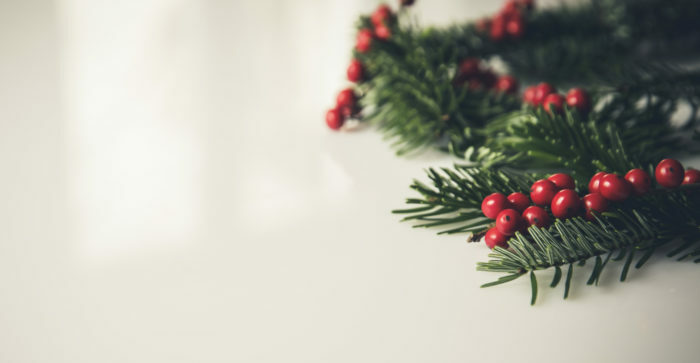 Even while our culture continues its acceleration away from Christendom, Christmas still remains one of the most likely time of the year for non-Christians to consider matters of faith. Here are a few tips to help you step out of your comfort zone and talk to non-Christians in your world about Jesus. It was a Christmas Eve service in 1992, and I had been recruited to play the role of one of the young shepherd boys. With typical 90s seeker-sensitive flair, the night retold the birth of Jesus with skits, carols, praise banners, and awkwardness. Yet the gospel was preached and some who had been invited by friends responded by trusting their lives to Jesus. Well, because one of the people that night who responded to the gospel, was my dad. You’re probably aware that Christmas is that magical time of the year when lights are up, stores are full, and millions celebrate the angel’s declaration of “peace on earth” by stressing out over the perfect gift or their imperfect family members. But what you may not be aware of is that Christmas is also the most likely time of the year for non-Christians to consider matters of faith. From the carols that are sung to the nativity scenes that are set up to the imagery on the front of Christmas cards, over the next few weeks Jesus will be placed front and centre in our cultural eye. Like my dad, many people are more open to Jesus during the Christmas season. While it is certainly true (and curious) that there are those in our culture who consider it an offensive social taboo to talk about Jesus during his birthday celebration, the bottom line for Christians is that Christmas comes with more opportunities to give people the gift of the gospel than any other time of the year. As we prepare to celebrate the incarnation of Christ into the world, here are a few tips to help you step out of your comfort zone and talk to non-Christians in your world about Jesus. Whether you like it or not, Santa Claus is a part of the cultural landscape of December. And he’s not going anywhere. Apart from a few troubling stalker tendencies (“He sees you when you’re sleeping, he knows when you’re awake”!? ), he seems like a pretty nice fellow who genuinely wants little boys and girls to try their best to be good. If they behave, they’ll have earned themselves a place on the nice list and be showered with presents instead of punished with coal. Come to think of it, Santa would have been right at home with the Pharisees in Jesus’ day. Santa, like the Pharisees, has a fondness for rule-keeping, good behaviour, and rewarding high performers. However, the message of “try harder, do better” is not good news, and it’s not Christianity. It’s a depressing cultural distortion known as moralism, and is about as liberating as being chained to a treadmill and instructed to run to China. No matter how hard you try, you will find yourself in the exact same place—just more tired and cynical. But instead of seeing Santa as an opponent to be protested or a myth to naively endorse, Christians should see him as one of our greatest opportunities to astonish people with the gospel. Santa is not the enemy. Santa is an opportunity. Christian, you don’t need to condemn Santa. Just contrast him with Jesus. The gospel shows us that the true gift-giver is Jesus. The gospel turns the Santa-narrative on its head. In Ephesians 2:8, Paul reminds us that the unfathomable joy of salvation is the undeserved gift of God. Jesus fulfilled the list and declared, “It is finished” (Colossians 2:13-14, John 19:30). The message of Christmas that every child and adult’s heart longs to hear is not “be good, for goodness sake!”, but that Jesus was good for our sake! The gospel is an explosion of hope that brilliantly outshines the dull moralism of Santa. By living the life we couldn’t live and dying the death we deserve to die, Jesus gives sinners on the naughty list (if you’re human, you qualify) the gift of God’s love. That’s news worth telling someone over the next few weeks. While Christendom may be dead, it has left in its wake some quasi-religious cultural traditions. For many non-Christians, attending some sort of church service during the holiday season is as much a part of their family tradition as putting up a Christmas tree or hanging lights on the front of their house. It allows them to tick the “spiritual” box (at least until Easter). This kind of thinking is nothing more than dead religion, devoid of the life-altering power of the gospel. But it does come with one redeemable caveat: the opportunity for people to encounter the life-altering power of the gospel. So go ahead and invite them! Your neighbours will say ‘no’ to 100% of the invitations that you don’t extend. Your odds can only go up. Christ’s command to move beyond “comfortable conversations” and be his witnesses, often leaves us feeling like Peter stepping out of the boat into the waters of the impossible (Matt. 14:26–33). Don’t get me wrong; I totally get it. The fear is real. It’s just misplaced. We all experience those moments on mission where we seem to be sinking like Peter under the chaos of the storm. But that is only because we have taken our eyes off the One who rules the weather (Mark 4:41). Here are the very words that God has spoken to breathe courage into his people again and again (Josh. 1:9; Isa. 41:9; Jer. 1:8). Here are the words at the very heart of the Incarnation that is celebrated at Christmas time every year. Immanuel; “God with us” (Matthew 1:23). The true message of Christmas. And the means by which we boldly declare it. Adam Ramsey leads Liberti Church, a gospel-centred family of churches on the Gold Coast, and also serves as the network director for Acts 29 Australia/New Zealand. Adam is deeply passionate about preaching the gospel, loves being married to Kristina, wrestling with his five kids, and equipping church planters.